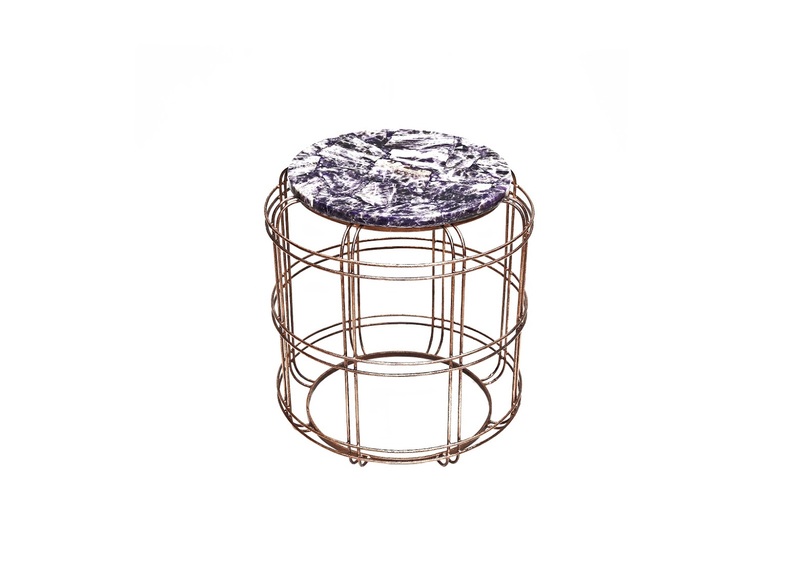 Description: Sleek coppertone metal iron side table complete with Amethyst semi precious stone top. We love it next to sofas or by the bed. Made of quality metal this accent table is sure to last for long. This accent table features sturdy stands for good support and an attached round stone top. 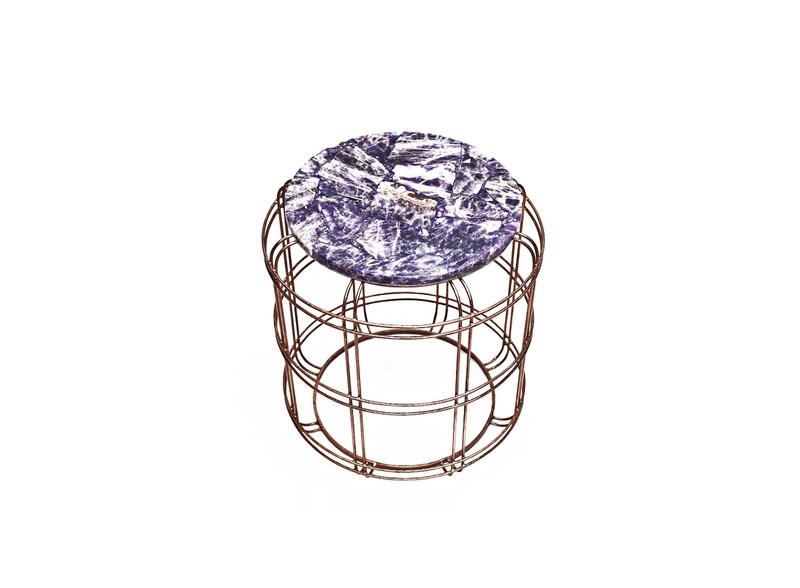 The side table comes in Copper color palette while the circular top in appealing purple shade that shall accentuate well with all kinds of interiors.